Looking for a fun gift to send to family far away? Mail a HUG! As a military family, we rarely live close enough to relatives to see them on a regular basis and often find ourselves thousands of miles away. It’s hard for the kids to go so long without seeing their Grandparents and sometimes event their father for months at a time. Children grow so quickly it’s really hard to even believe your eyes at times. In the matter of a few months they change so much! 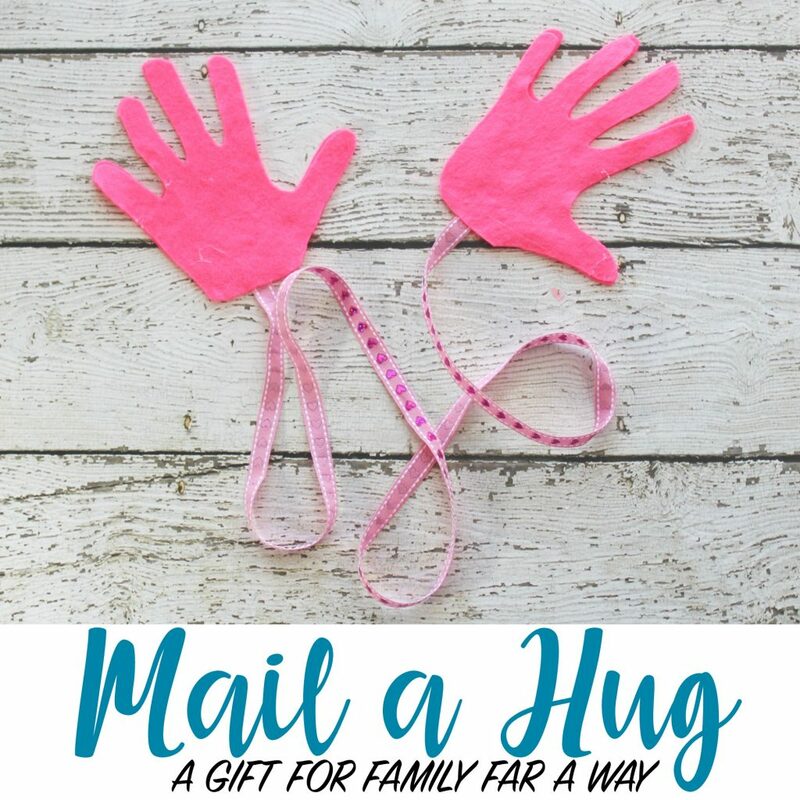 The simple idea to Mail a Hug is such sweet way to tell your family far away that you love them and are thinking of them while sharing a piece of the child, just as they are, in that moment in time. Handprint crafts are some of my favorites to make. We often wish for them to just stay little and even though they can’t, we can keep a memories of their tiny hands, just as they were in that moment in time. To make and send a hug is super easy – and the kids will be so excited to surprise a family member! We make these out of felt, although you can use paper and string if you’d like. The felt will last longer and if you are sending your hug on a long journey they won’t get ruined in the mail. To start, place your sheet of felt on a flat surface, folded in half. Lay the child’s hands on the felt and trace them carefully. Keeping the sheet folded, cut around the traced shape of the child’s hand so that you end up with four handprints all together, two for each hand. Take your ribbon and measure the length of the child’s wingspan – from wrist to wrist across the body. 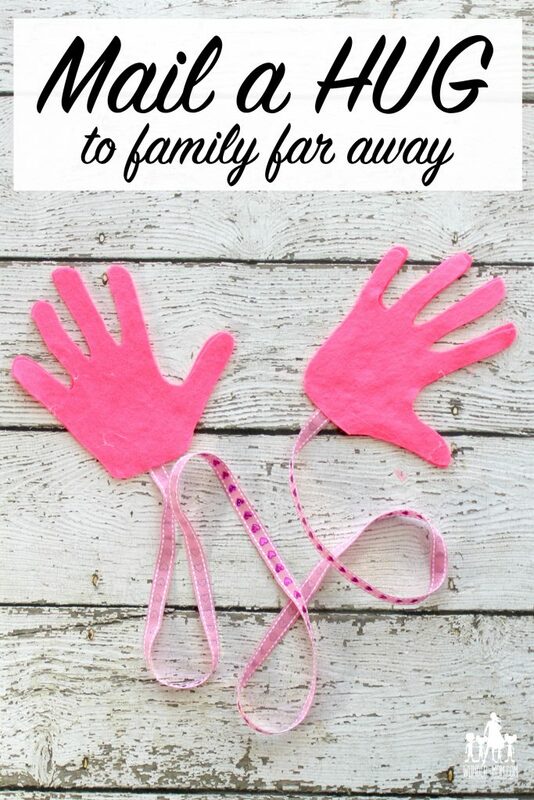 Glue the ribbon to the inside of one set of handprints and then glue the other handprint on top to seal it. Repeat for the other hand. You can also label the hands using a permanent marker with the date the child made the hug. If you have multiple children be sure to add their name, too, to remember just whose little hands those were for years to come.